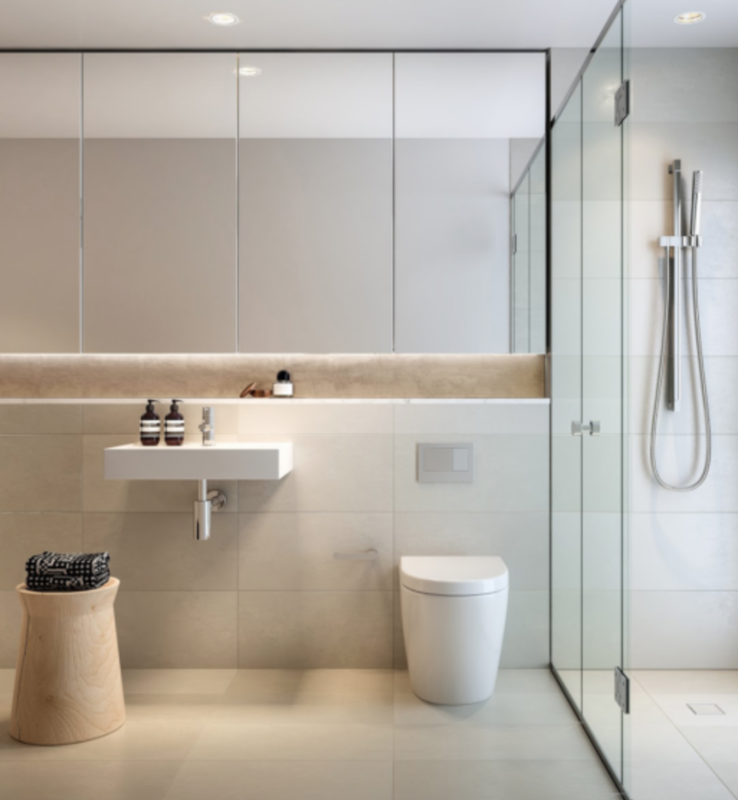 A bathroom for me is an opportunity to embrace sleek lines combined with clean finishes to create beautiful design results. 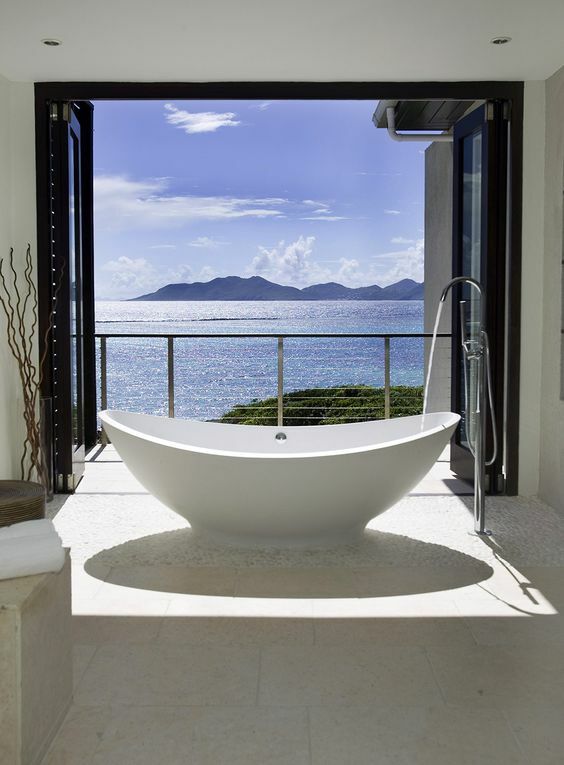 I have compiled a list of some of my top tips to create a spectacular bathroom in your home. 1. A fresh and unique bathroom renovation will improve your daily routine and lift your mood. 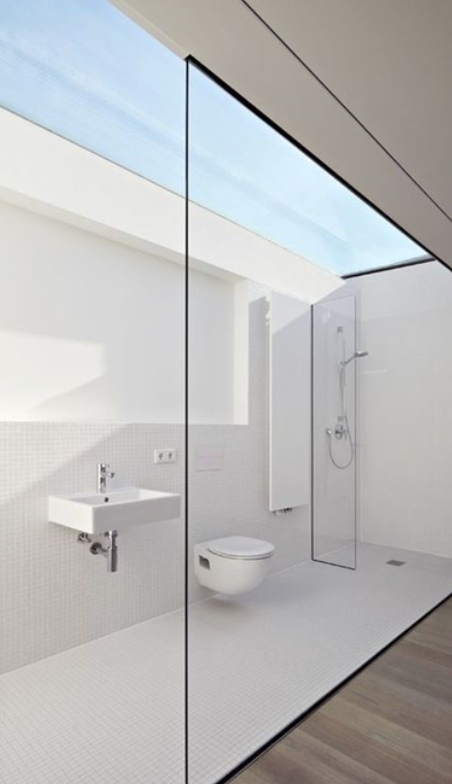 Not to mention the value a sleek and modern bathroom will add to your house! 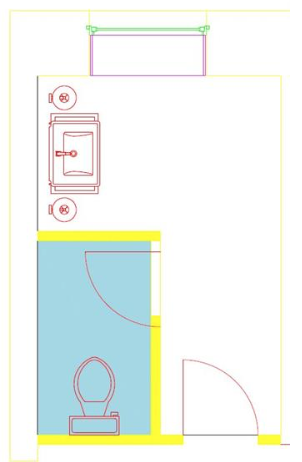 To start, analyse your existing space in terms of layout, aspect and focal points. See if there are any areas where storage can be introduced. Adding recessed shelves is one way of creating storage without compromising the bathroom’s square footage. 3. Try to hide the toilet! We hate to see toilets and love to hide them if at all possible. This is a recent design where we created a separate cubicle for the toilet in a stunning guest classic style bathroom and effectively created an elegant powder room for guests. 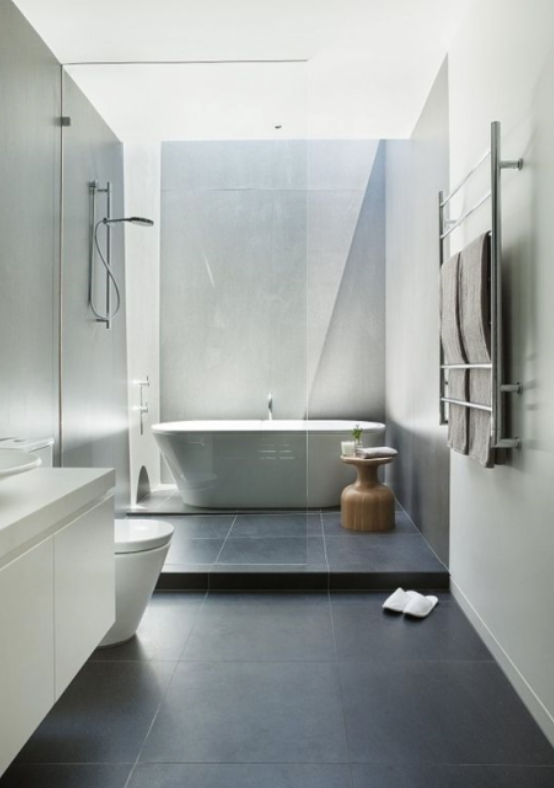 When lighting a bathroom, treat it as you would a living area. This will result in a space that combines both practicality and a sense of serenity. 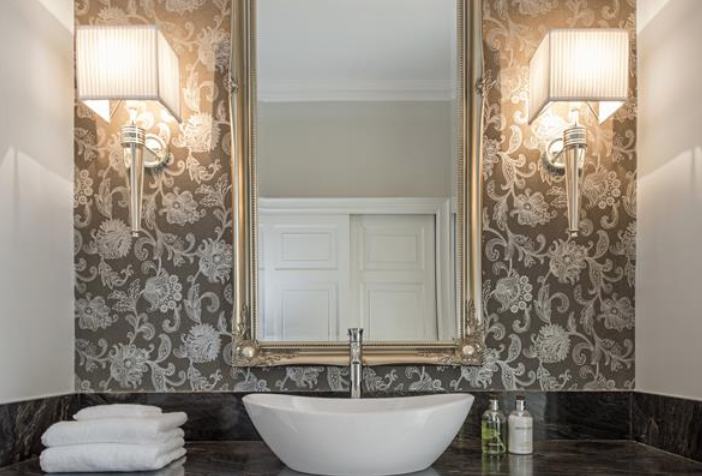 Manipulate the lighting to soften the hard reflective surfaces of mirror, glass marble and tiles. It is very important to note that electrical fixtures for bathrooms must be waterproof. Always ensure you use a fixture that meets safety standards for this use. * Ceiling recessed downlights to wash light down a back wall of a shower etc. * Wall lights positioned at the best height to deliver lighting to the face. * Elegant slot niches sense of space and storage with recessed led under cabinet lighting. 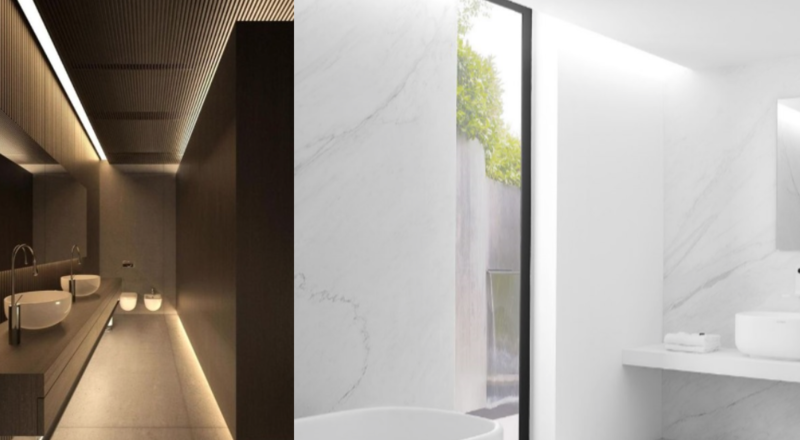 * Two circuits in the bathroom-one for practical light and one for a night light or soft light to bathe by. And finally have fun, a bathroom is a place where we can express our design footprint. Be creative and enjoy!